Thanet is home to many types of animals; the range of species here is wonderful. 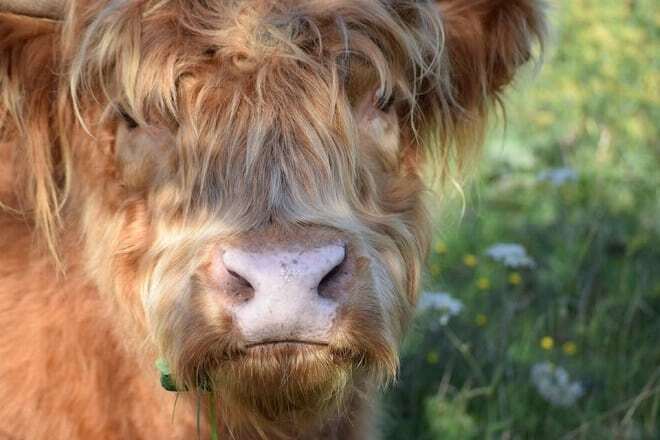 From horses to goats, alpacas to donkeys, highland cattle to hedgehogs, the variance of land animals alone is staggering for such a built-up Isle as ours. Add in domestic creatures and field-dwellers, plus creepy-crawlies and the things we don’t see, and the numbers increase exponentially. 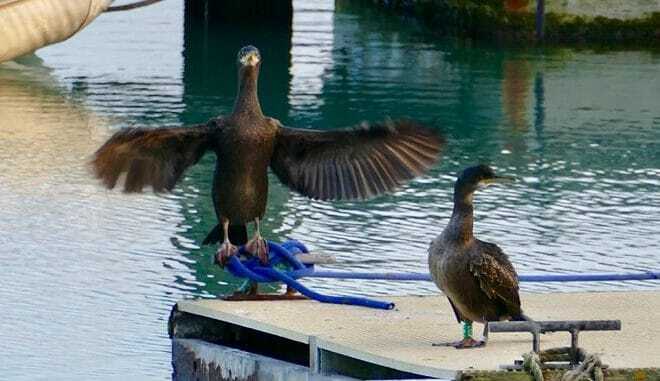 Of course, this is without mentioning the extensive bird life in Thanet. Pegwell Bay, for example, is the only ancient dune pasture in Kent, and features flying visitors from all over the world. This area seems to be a good stop-off point for migrations, but we also have a hugely diverse localised population of birds, including a very high concentration of bright green parakeets that – according to legend – escaped from Sanger’s zoo on the Dreamland site a hundred years ago or so, but enjoyed the Thanet climate so much that they stayed. If you consider the waters around Thanet as part of the area, you then must start counting marine life in our menagerie as well: seals, crabs, shellfish, the occasional shark, plus thousands of fish. Incidentally, whilst a collection of a single species of fish is called a school, multiple species all swimming in the same direction (as happens in our waters) is referred to as a shoal. 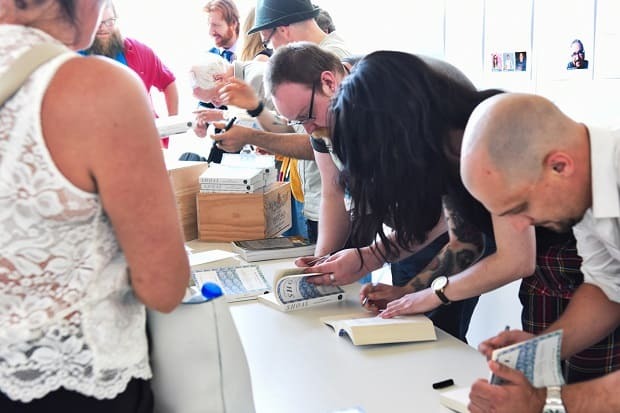 The idea of different species moving together is a powerful one, and was the inspiration for the title of the inaugural Thanet Writers fiction anthology, Shoal, which launched at the Margate Bookie last month. 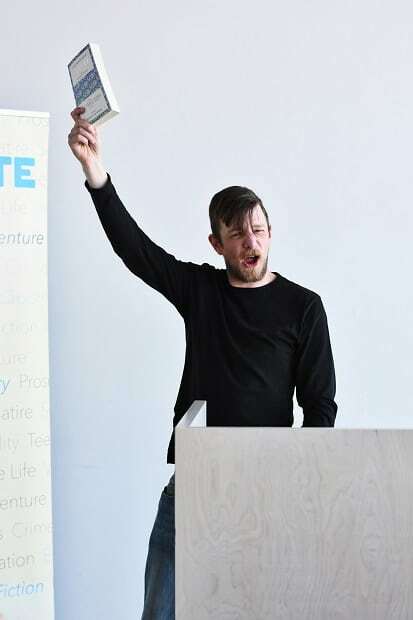 Being published in a paperback book is a huge achievement, of which I am very proud, as was speaking at a literary festival as part of the book launch as a venue as prestigious as the Turner Contemporary. Not only was I honoured to share the stage with some truly inspirational writers, but I got to participate in a book signing that went, frankly, ridiculously well (we sold out of tickets). You can buy a copy of Shoal from Waterstones, Amazon, and various bookshops and online retailers. I hear it’s exceptional, although obviously as my writing is included in it I’m somewhat biased. 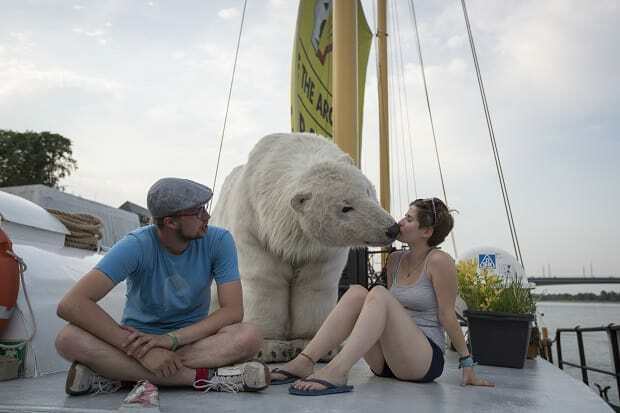 Speaking of achievements, the Turner Contemporary exceeded their crowdfunding target and will be bringing another animal to Thanet: a giant polar bear named Paula. Having already filled the gallery with animals for the new Animals & Us exhibition, the bear will be let loose to walk across Margate beach. Unfortunately – or perhaps fortunately – Paula is not a real polar bear. She is a life-sized mechanical beast, though hopefully not sentient. I am still concerned that my washing machine is watching me, let alone a self-aware robot bear, so I am pleased to learn she will be controlled by puppeteers and not just left to roam by herself. The last thing we need is a Westworld situation in Margate high street. Fears of an animatronic uprising aside, the Turner Contemporary’s success in gathering funds for Paula should be rightly celebrated. Any achievement is worthy of recognition. It doesn’t matter how impressive it is in contrast – whether individuals comparing themselves to others or organisations measuring up against their rivals – but instead should be acknowledged and respected no matter the context. There are always people who look for negatives, or try to raise themselves by putting others down, but I just don’t have time for them. Lowering others does not bring you up; in fact it does the exact opposite. At some point in life we are all told: “If you don’t have anything nice to say, don’t say anything at all.” Whilst it doesn’t always apply to every situation, when it comes to others achieving things it is a maxim I subscribe to. On the subject of achieving things, particularly on a personal level, there is something of an elephant in the room I should probably address. Last month I found out I have been shortlisted as a finalist for Kent Columnist of the Year for my ramblings in this here news platform (which was also shortlisted for Kent News Website of the Year). I’m up against last year’s winner and two other professional journalists, and will find out what happens at the Kent Press and Broadcast Awards in July. I suppose that means I should probably end this column by saying something profound, but I’m told a bird in the hand is worth two in the bush so instead I’ll say congratulations to the Turner Contemporary on securing Paula the bear, to The Isle of Thanet News for being shortlisted for another award, to the Margate Bookie for a brilliant festival, and to Thanet Writers for publishing a stunning book. Well done everyone, you have made Thanet proud!